The tiny Cirrus Vision SF50 has been quietly under development, and is now set for market entry in 2015 as the pioneer of the ‘personal’ jet category. 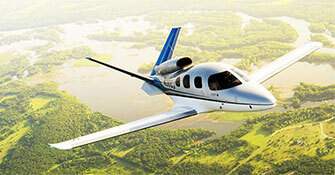 Here are five USPs and why this tiny jet is set to pack a big punch this year. A new successful FBO is all about right place, right time - with new VIP terminals being developed around the world. Find latest private jet pricing, nearest airports and heli transfers in our guide to Europe's most luxurious ski resorts this season. P.S. Read our latest Trustpilot reviews from some of our recent customers."